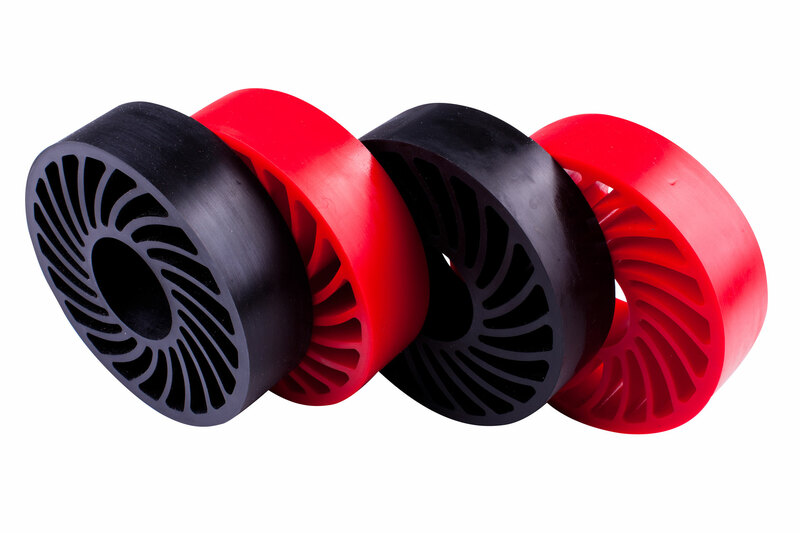 We produce polyurethane wheel and roller components used in various industries. We guarantee the highest quality product, characterised by very high resistance to abrasion and capable of carrying very heavy loads. The appropriate selection of materials and highly advanced production process guarantee that the L-PUR coat will to stick to the hub.